At Fleming Metal Recycling we are, fully licensed by the Northern Ireland Environment Agency and are a registered Authorised Treatment Facility (ATF) for end-of-life vehicles. 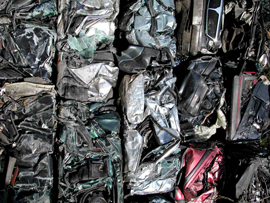 As such FMR can offer the full recycling service for redundant cars, vans and trucks and can issue our customers with a Certificate of Destruction (CoD) which insures that you, our customer, are no longer responsible for the vehicle or the vehicle’s road tax. To safeguard the local environment, our trained staff remove the redundant vehicle’s lead acid battery, make safe the vehicle airbag system, drain the suspension system and brake fluid, remove engine and gearbox oils, radiator coolants and oil filters. Likewise the vehicle’s fuel tank is de-bowsed for any residual fuel. Following this process the vehicles engine is removed and the vehicle crushed for export. 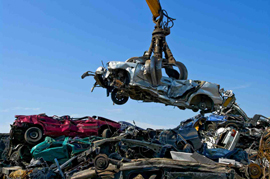 At FMR not only do we offer the complete vehicle recycling service, which maintains and protects the environment but we also maintain highly competitive prices which protect your pocket. Maximise Recycling. Minimise Eco Impacts.